Don't sell yourself short in the weight you have in he quilting world, particularly where ruler work comes in. I would imagine corporate Janome knows very well who you are and how well you are recognized as a Blogger, Vlogger, and Craftsy instructor. Barbara, you have been such a great cheerleader for me! Thanks! Ditto, Barbara! You are truly the pioneer, researcher, teacher and doer! If it weren't for you, I wouldn't even know about ruler work. Love your classes but need more rulers - maybe Santa will bring some for Christmas. Thanks for all you do, Amy! Wow. That is so cool that Janome is listening to our wants/needs. 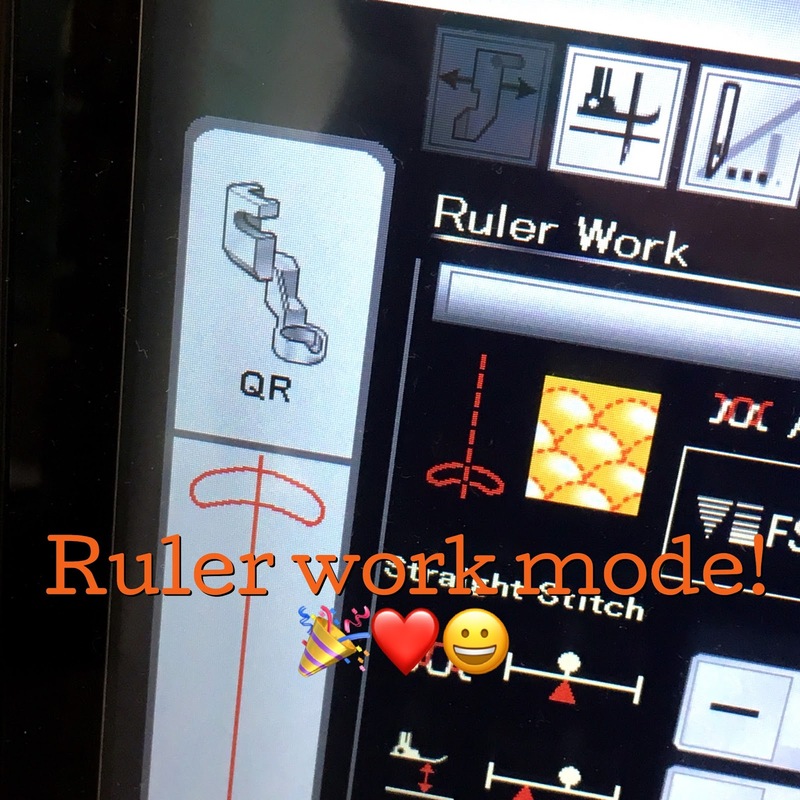 Thanks for all your help getting Janome and all us quilters in the Ruler Work groove. Amy, my opinion is that you have been a pioneer of ruler work on a domestic machine. I found out about it from your blog quite a number of years ago now.. 5 maybe? When friends asked what I was talking about (ruler work) I always headed them in the direction of your blog and videos. 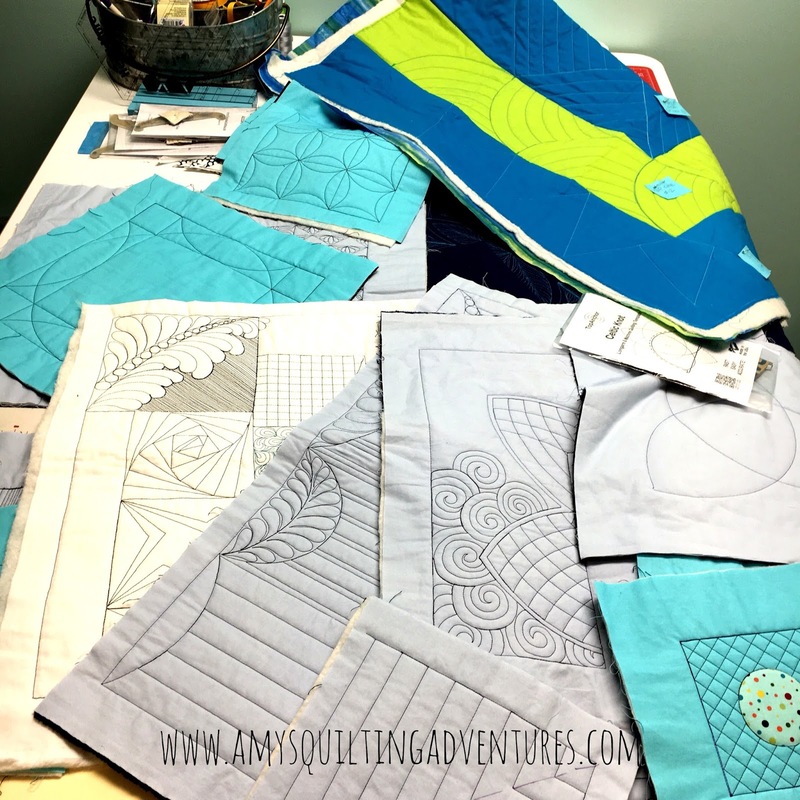 I'm not great at ruler work as I tend to just move on to the next top rather than stop for the quilting, but I've learned much from you. Thank you!! 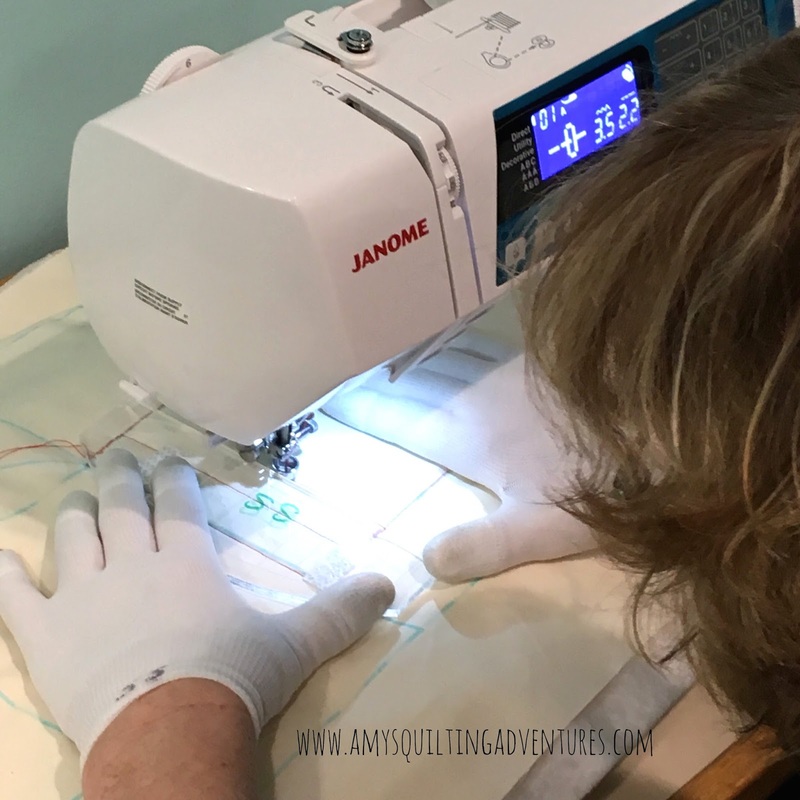 I have a Janome 6600, and the convertable foot but haven't done much (ok, any) ruler work. What rulers so I absolutely need to get started? 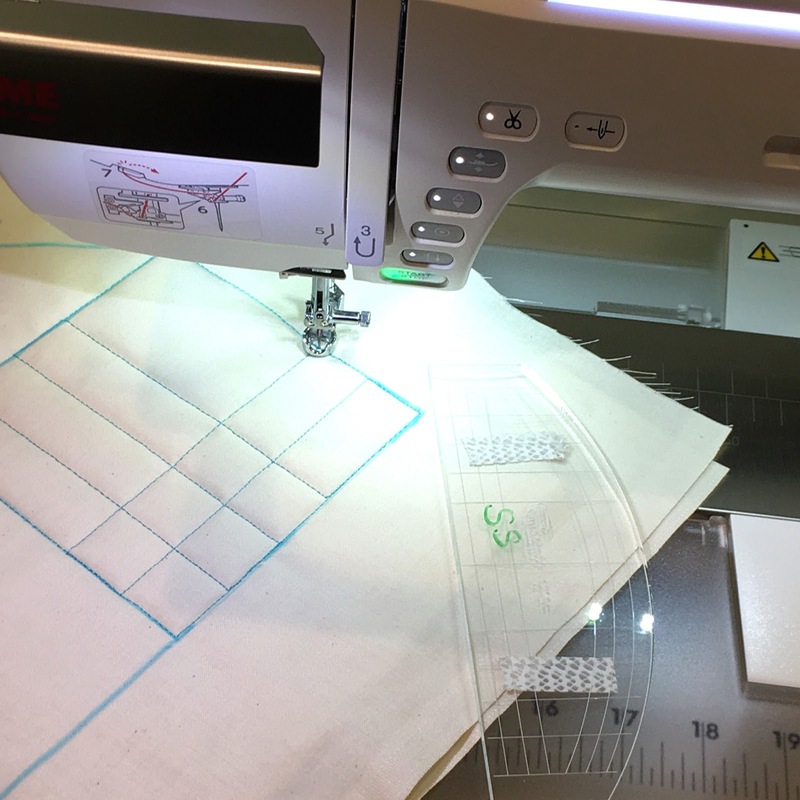 Any tips on Sewing over thick seam allowances when using a ruler? It is hard for me to smoothly sew up to and/or over the point where several seam allowances meet. Thanks much! Ah.... you've hit on one frustration of using rulers on a domestic sewing machine. Most ruler feet for domestic machines don't hop so they don't clear bulky seams well. Since the Janome ruler foot is easily adjusted, I can easily adjust the height of my foot. The Bernina foot is similar, plus I think it can be set to hop a bit. For the others, keep a screwdriver handy. Of course, prevention is the best. Some seams can be pressed open, others nested and even 'spun' to reduce bulk. The ruler can be used to press down on the bulk, but that can make it harder to move the project. You mention a 50% off coupon for your Crafsy classes but I do not see a 'word' to use when redeeming a coupon? The "code" is part of the link you click and is applied to your cart automatically. Thanks Amy! I am now signed up and ready to learn.